I whipped out my phone for about the millionth time eleven hours and fourteen minutes into our 55K ultra trail race, this time to video us crossing the long awaited finish line. Crazy Jessica, Crazy Amy and I finished the 34 mile race with forty-five minutes to spare from the twelve hour cutoff time. The course in Antelope Canyon in Page, Arizona and across the Navajo Indian reservation was the most beautiful scenery I have ever laid my eyes on. Between the challenging terrain of rock climbing, trekking across the slickrock atop the towering mesa above Horseshoe Bend of the Colorado River, navigating the course marked by small, unassuming pink ribbons tied around scrub brush, and the massive amounts of sand (oh, the sand! ), we spent two-thirds of the race walking at a fast clip. Plus, we took plenty of opportunities to take photos along the way. Most people cannot fathom finishing a 34 mile race but surprisingly, I was never concerned or nervous leading up to or during the race. Finishing was a “fait accompli” in my mind. Failure (barring any debilitating injury) was never an option nor even a fleeting thought. Don’t think about the total distance of the race. In fact, since we are not on the metric system, mentally telling myself it was a 55K race sounded easier to me than reminding myself the course was 34 miles. After all, a 55K race is only 11 x 5K races strung back to back. Sounds manageable, right? Or, as I prefer to say, the Antelope Canyon 55K race was a nine aid station race (eight aid stations plus the finish). Each aid station was spaced out between 3-7 miles apart. This meant nine opportunities to eat (my favorite part of running anyway)! All I would think about during the race was running to the next aid station where I could refuel, drink, use the composting potty (which are brilliant, by the way! ), and changing clothing if necessary. So too with planning one’s estate. Any qualified estate planning professional worth their salt will guide you into breaking down the design of your estate plan into bite size pieces. Finally, how to best design our client’s estate plan (i.e. use of Ladybird Deeds, living trusts, wills, beneficiary designations, titling of assets, etc.). You don’t have to know how your estate plan will come together when you first meet with your estate planning advisor. You just need to get started by scheduling your initial consultation and let your advisor do the “heavy lifting” of breaking down your plan. 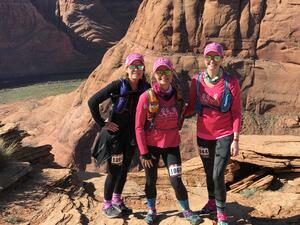 I had no idea what to expect on the race course of the Antelope Canyon 55K last weekend. Nor did I allow my thoughts to gravitate to the twelve hours we would likely be spending on the race course (what a mental kick in the pants that would’ve been!). Before we knew it, we were running the final homestretch of sand across the finish line. And I have the video and sand between my toes to prove it. P.S. 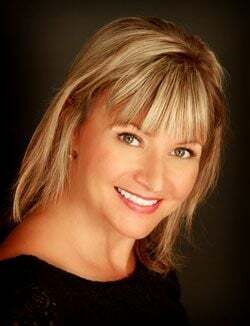 Ready to let us at My Pink Lawyer break down and custom design your estate plan for you? Schedule your Family Succession Strategy Session online with us today!